This is the first guest post from our new affiliate, the Atlantic Council of Canada. 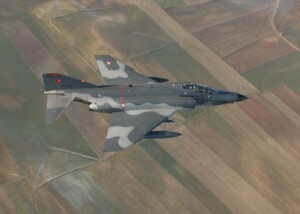 This post originally ran on the Atlantic Council of Canada website on 06 Mar 12. One would be hard pressed to find an article analyzing Somali piracy—be it journalistic, academic, or militarily focused—that does not make the claim that this maritime problem can only be solved on land. In the four years that the international community has attempted to address this crisis, however, a coherent and coordinated onshore strategy has yet to emerge. The development of indigenous counter-piracy capacity in the affected states of the East African seaboard has, despite rhetoric to the contrary, received scant attention from donor states. Authorities in the epicentres of Somali piracy—the autonomous states of Puntland and Galmudug—have largely been left to fend for themselves. Mistakenly, the international response to Somali piracy remains blinded by a military-centric focus on naval shows of force. An American think-tank project, The Oceans Beyond Piracy report, calculated the total annual cost of counter-piracy military operations to be $1.27-billion USD. Using the same methodology, the annual operating cost of NATO’s Operation Ocean Shield has been placed at $293-million, while a figure of $450-million has been given for the EU’s Operation Atalanta. While both of these missions have been extended to the end of 2012, it is unlikely they will be able to continue indefinitely in an age of fiscal austerity and military cutbacks. Economic constraints have already forced the number of ships deployed to Operation Atalanta to fall “below the red line” of a six vessel deployment, according to EU Military Committee chairman, Hakan Syren. NATO was similarly forced to divert naval resources away from the Horn of Africa when they were need for operations off the coast of Libya. There is also the danger that naval efforts may fall victim to their own success: a drop in incidences of piracy may cause a scaled down naval presence, but as the pirate structures onshore would remain intact, the gangs would only have to wait for coalition forces to withdraw before returning to sea. A sustainable solution to the piracy crisis therefore requires a coordinated strategy tailored to address the root causes that allowed the practice to take hold in Somalia’s pirate-prone states and flourish in the wider region. The explosion of piracy first witnessed in 2008 has been attributed to the decline of local institutions in the autonomous state of Puntland, particularly its inability to pay its once-effective police and coastguard forces. As security in Puntland has improved over the last two years, the piracy nexus has shifted south to the weaker sub-state of Galmudug. Offshore, the pirates have been able to expand the scope of their operations from the mouth of the Red Sea to the Mozambique Channel due to the underdeveloped maritime security capacity of regional states. As piracy expert Martin Murphy notes, effective policing at sea requires “boats well equipped with radar, communications, well trained and honest crews … shore based command and control facilities … reliable intelligence about pirate activity [and] air support and surveillance”, all measures which are prohibitively expensive for the developing states in the region to implement. Part of the mandate of NATO’s Operation Ocean Shield is to “facilitate and support the development of regional states’ capacity to conduct effective counter-piracy operations.” In practice however, capacity building has accounted for only a fraction of Ocean Shield’s budget and has not been conducted through any centralized organ. Two possible channels—the Djibouti Code of Conduct and the UN’s Somali Trust Fund—received only a combined total of $5.95-million in international assistance in 2011, a fraction of the amount spent on military operations. If Somali piracy is to be combated in a sustainable manner, it is imperative that NATO—in conjunction with partner states and organizations—begin shifting resources away from a military-centric counter-piracy strategy and towards a program for regional maritime security capacity building that enables regional authorities to meet the challenges of piracy by themselves in the long-term. While a number of channels for capacity building have been created, a report by the Danish Ministry of Foreign Affairs recognizes that, “there is no single coherent strategy for building coast guard capacity in the maritime area, and no comprehensive framework for the efforts.” In order to rectify this problem, NATO and the African Union (AU)—working through regional sub-bodies—should establish a new “Maritime Security Dialogue.” When attempting to lay the foundation for a joint capacity building program there are five main areas that need to be considered: regional naval cooperation, equipment and vessel procurement, training, intelligence coordination, and engagement with Somalia’s autonomous units. While ships assigned to Operation Ocean Shield have already made a number of port visits to African partner nations, it is advised that NATO deepen this engagement by conducting more joint counter-piracy exercises with regional players, particularly those that fall outside of the current international patrol areas. In order to increase the indigenous capacity of regional states, NATO members should consider donating vessels and equipment that is ready to be decommissioned. Given that the pirate gangs are often better equipped than regional coastguards, it is also advisable that boats and navigation equipment seized from pirates be turned over to regional authorities, rather than destroyed as is commonly the case. NATO is comprised of the most highly trained and specialized maritime forces in the world and it is imperative that this expertise be offered to the regional states that will become the bulwark against piracy when the international flotilla eventually departs. While individual NATO members have engaged in bilateral training programs, it is in the interest of regional cooperation and interoperability that a common training center be established, perhaps building on existing programs in Djibouti or Nairobi. In order to tackle piracy and other maritime crimes in a more informed and coordinated manner, East Africa requires a headquarters that functions as an intelligence sharing and reporting center. Given the role that members of the Somali diaspora play in raising capital for pirate ventures, intelligence sharing is particularly pertinent to the tracking and prosecution of pirate financiers. A committed international engagement with Somalia’s autonomous regions—primarily Somaliland, Puntland, and Galmudug—is the most important aspect of a long-term counter-piracy policy. 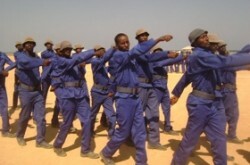 While it is imperative that NATO and its members do not interfere with the process of political reconciliation currently underway in Somalia, it is crucial that these sub-state units are treated as autonomous actors within the Maritime Security Dialogue, as it is currently not possible to build a national Somali coastguard in the absence of an effective central government. NATO and other foreign actors have traditionally been reluctant to engage local institutions, as it was feared that they were corrupt and infiltrated by pirates. However, this situation has changed dramatically in recent years, as the government of Puntland has arrested and imprisoned more pirates than any other nation. The newly created (and largely self-financed) Puntland Marine Police Force (PMPF) has recently launched raids against the pirate hubs of Eyl, Garacad, and Bayla. Given that it can take up to seven hours to reach pirate beach camps from the PMPF’s garrisons, Puntland’s counter-piracy efforts would be much more effective if NATO donor nations provided all-terrain vehicles and funded the development of roads, radar stations, and other forms of basic infrastructure. Jay Bahadur, one of the few Western journalists to spend significant time in Puntland, has also recommended that NATO and other foreign partners help fund the PMPF and other local police services. Local intelligence networks could also be improved simply by providing coastal communities with cell phones and establishing an anti-piracy tip line that would provide modest rewards for information about the activities of pirate gangs. In order to bring an end to Somali piracy, NATO and its partners will have to work more closely with the AU and its member states to build up indigenous maritime security capacity both within Somalia’s autonomous states and the wider region. While relations between the AU and NATO have been strained and mutually suspicious at times, counter-piracy capacity building offers a unique opportunity to build a more trusting and cooperative relationship between the two organizations. Aside from mitigating the financial and human costs of piracy, the recommendations outlined above should also serve to increase regional integration, deter and disrupt other types of maritime crime, and bring a plethora of economic benefits to the region. NATO and its partner organizations have recognized that indigenous maritime security capacity building offers the only sustainable solution to the piracy crisis, but there appears be a lack of institutional will to change course. At present, NATO’s partnership policy does not cover funding or equipment procurement, and this will have to be modified to make capacity building truly successful. Capacity building will require significant initial investments, making it imperative that bilateral donors coordinate their efforts with other members of the Alliance and synergise their efforts with international organizations such as the EU and UN. If the international community is successfully able to change course, NATO, the AU and the wider world will reap the benefits of a more effective counter-piracy policy long after the bandits have been driven from the sea. James Marcus Bridger serves as a Content Editor and Senior Research Analyst with the Atlantic Council of Canada as part of the Department of National Defence’s Security and Defence Forum Program. He holds a MA in Political Science from the University of Toronto, where he specialized in International Relations. James’ current research focuses on issues of African and maritime security.